I’ve been using Windows again for a bit. The VR stuff that I wanna play with just isn’t there outside Windows yet. It’s very annoying. But obviously the machine is Linux underneath. Boots into Linux by default. But I’m mostly actually using that machine for Unity3d stuff and VR stuff and it’s left in Windows almost all the time. Yet I keep opening the lid to discover that Windows has killed itself and the Ubuntu system booted. 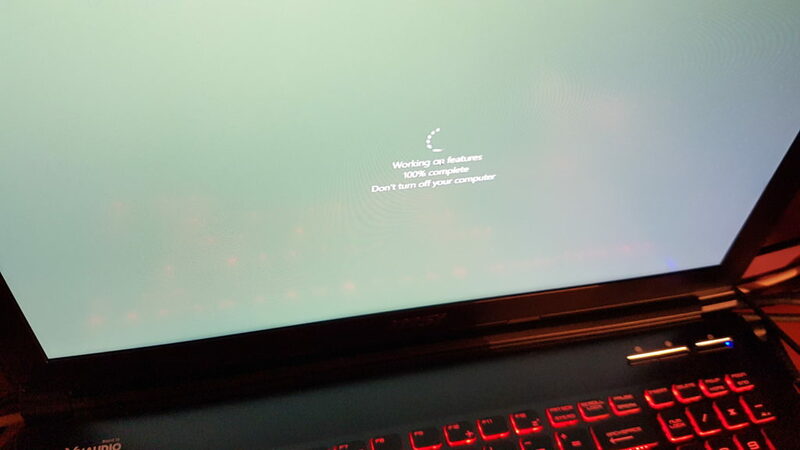 Windows seems to genuinely be rebooting itself randomly in the middle of the night in order to install updates or something. Then my boot-loader stops it coming back up again. Rebooting randomly in the middle of the night? If my Linux boxen were doing that I’d be on the IRC and bug forums reporting the problem and campaigning for it to stop. No point in that kinda thing when you’re a MS slave I suppose. My Linux boxes reboot maybe twice a year? And they do it when I bloody well tell them to. Now I wanna use it and it’s just sitting there, after a random reboot, claiming to be 100% done but stopped. I almost believed the people who told me it’d got better in the last decade and a half since I was last using it regularly.